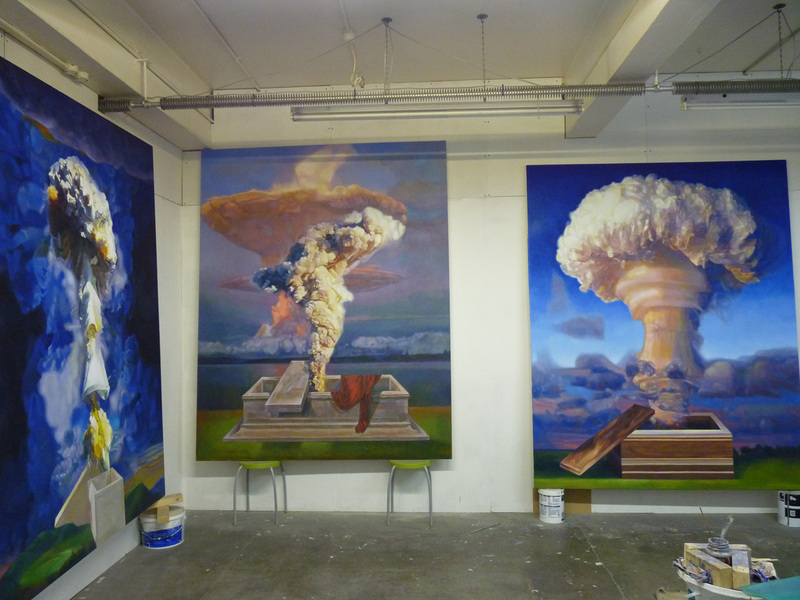 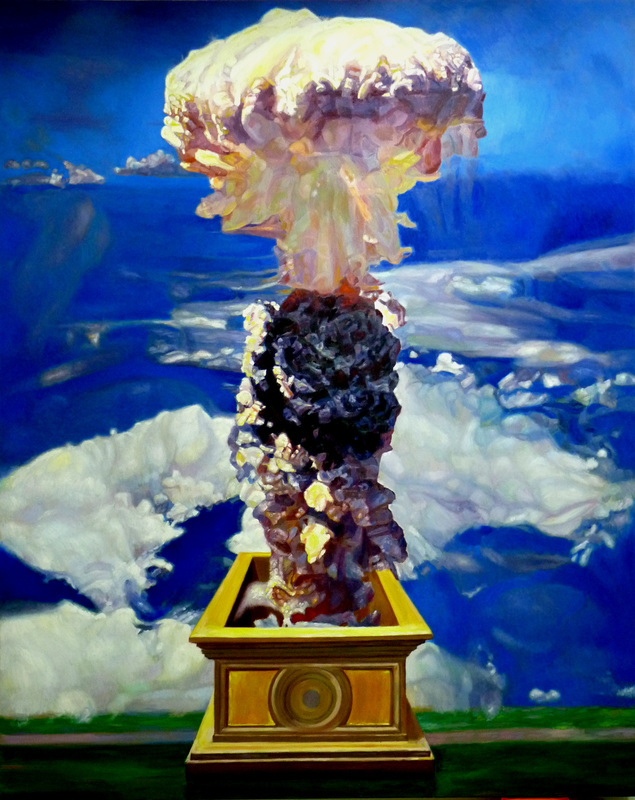 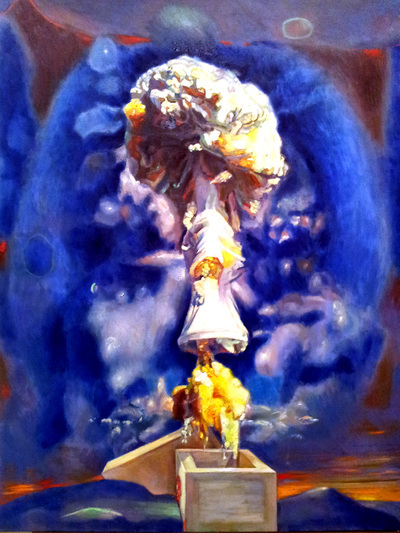 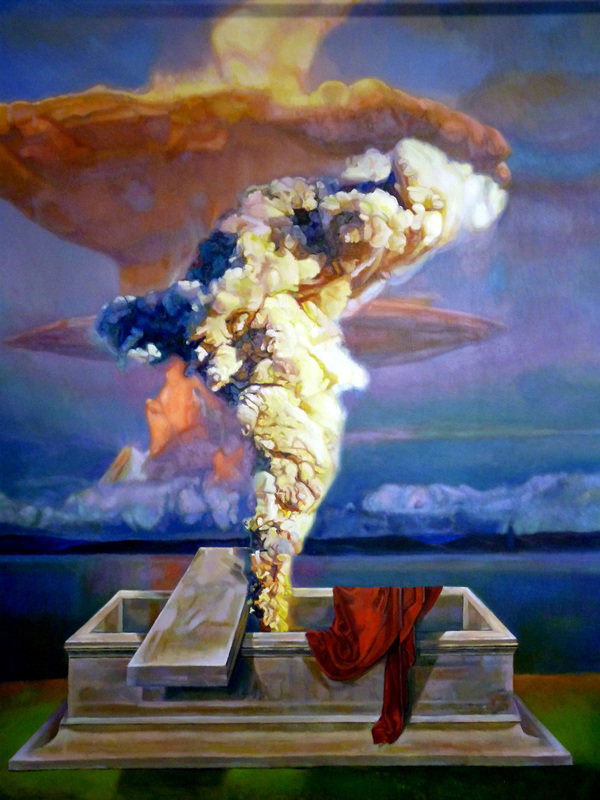 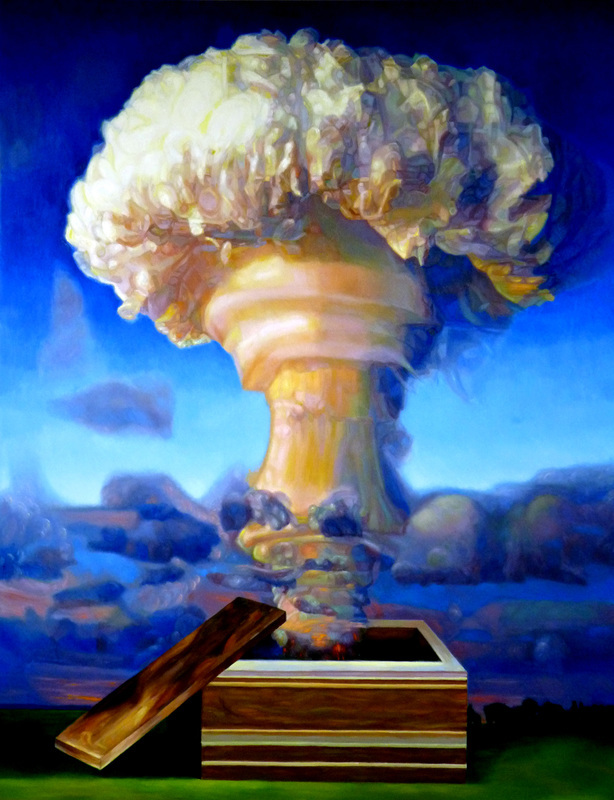 Nahem Shoa's paintings of nuclear explosions are filled with incident and continue with the theme of death. 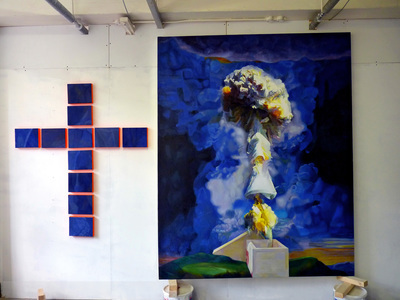 resurrection and transformation. 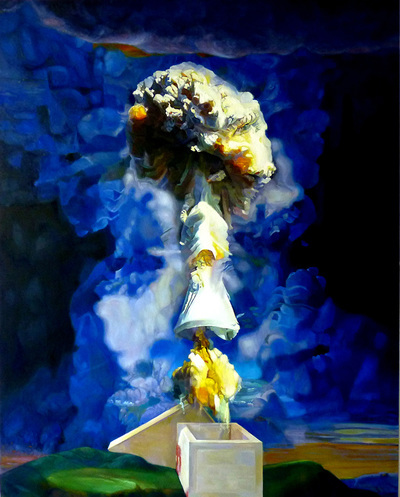 These inevitably draw on 'unreal' sources, photographs, TV and film as well as memory. 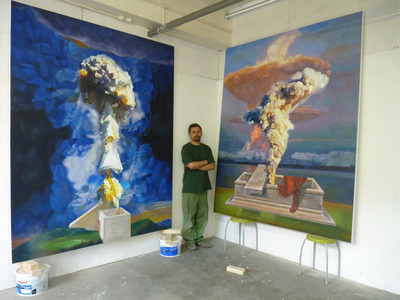 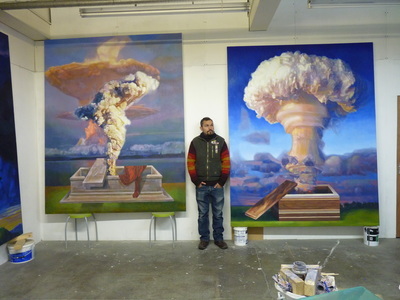 Nahem Shoa stands in front of his Nuclear Explosion paintings.